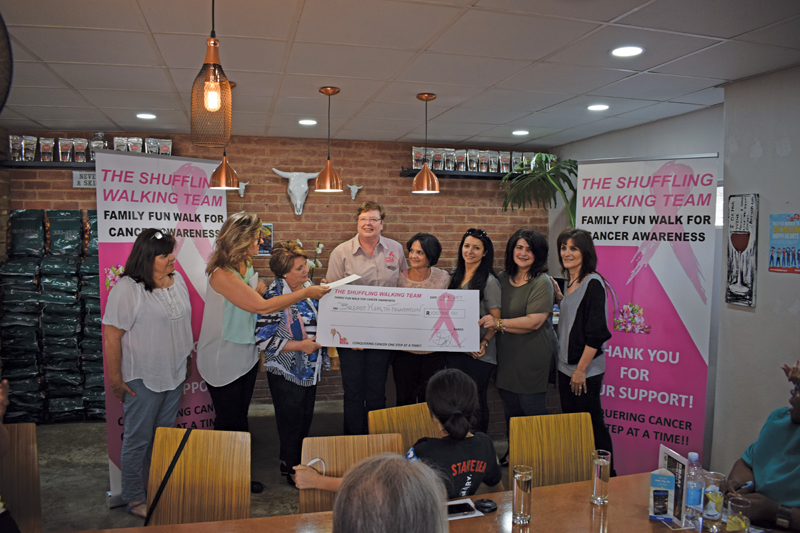 On 30th July 2017, The Shuffling Walking Team celebrated our 6th year of hosting our annual Family Fun Walk for Cancer Awareness. Part of the money raised is donated to Breast Health Foundation (BHF). The first walk was attended by 100 people – our family and friends – we raised R28 000. Six years later, in 2017, we had 2000 walkers. The purpose of the walk is to remember those we have lost; support those who are currently fighting; and celebrate those who have beaten cancer. We chose BHF as one of our beneficiaries, as Dr Benn is especially dedicated to helping the community. for what she does is inspiring and this is my way of saying thank you. In 2016, we raised R183 000 with 1300 walkers. R80 000 was donated to BHF. The donation was used by BHF for various expenses at Helen Joseph Hospital Breast Care Clinic. R5 000 – Printer costs. R3 000 – Bought printer and cartridges. R1 000 – General stationary as needed. R21 000 – LifeLine training. R5 000 – Tea, coffee etc. for patients. R25 000 – Paint for Mandela Day, including refreshments for volunteers. R7 500 – Shelves, labour and material. Mounting posters, notice boards etc. R 3 000 – Snapper frames for posters.